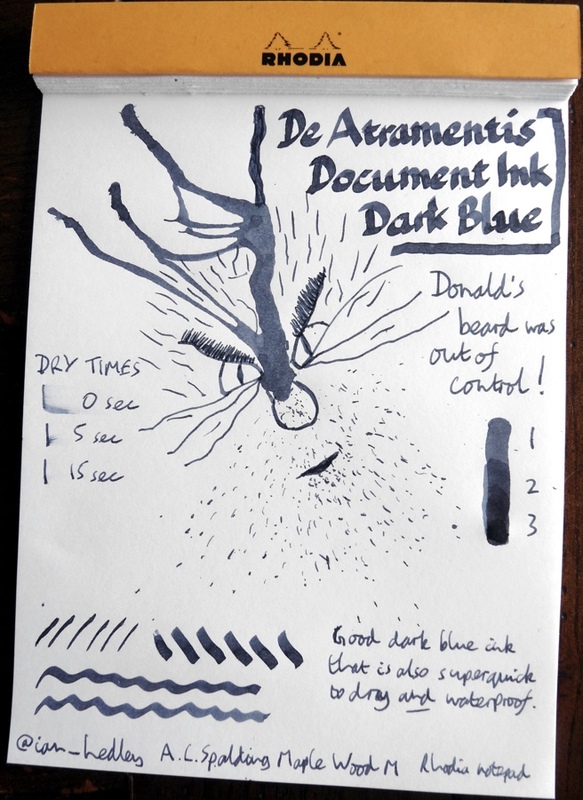 De Atramentis Document Ink Dark Blue review – Pens! Paper! Pencils! 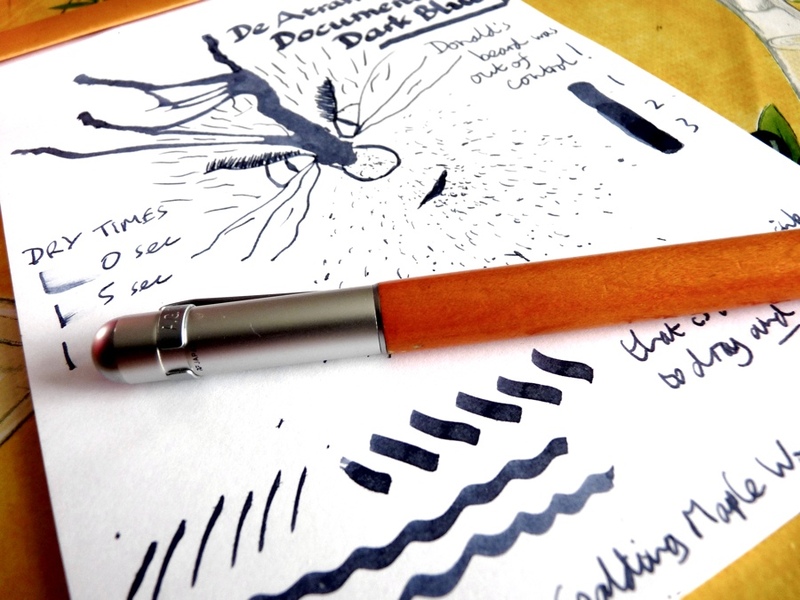 A good waterproof and permanent ink can come in useful (addressing envelopes, signing things and so on). I think this might be the one for me. 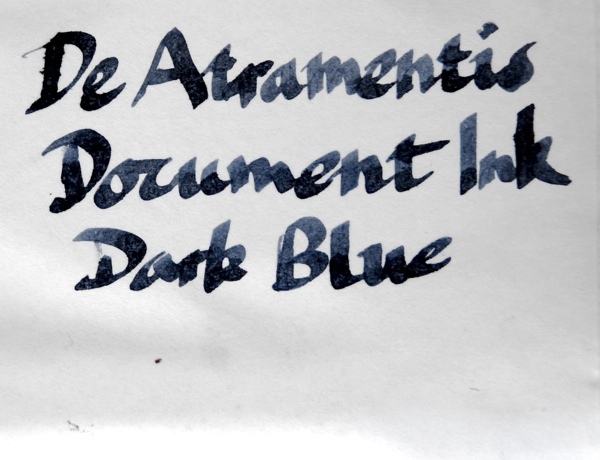 It’s a good shade of blue and it dries incredibly quickly. Here is a water test.